Parents have a lot of nicknames for their kiddos. Yours might be anything from champ or sport to hunny bunny, bean, bear, or bug. After all that time it took picking the perfect name for your kid, this is what it amounts to? We get it, sometimes it just comes out! But you know what our favorite little moniker is for your munchkin? Monkey! Because let's face it, toddlers are a LOT like monkeys—energetic as can be, loud and screechy, prone to jumping and climbing, ready to eat everything in sight, and...to be honest...not the most hygienic of creatures. They can't help it; they're just itching to explore the big, wide world. 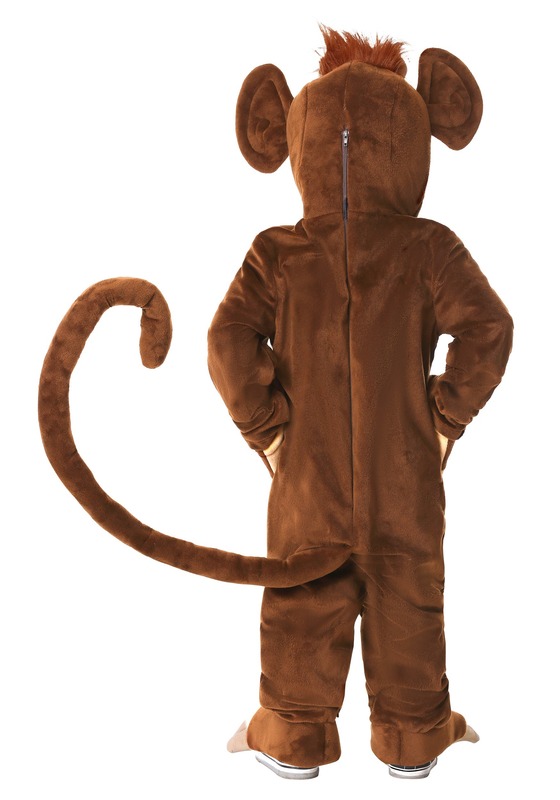 That's why this Toddler Funky Monkey Costume is perfect for your little primate. They can bounce around and wreak havoc, all while looking adorable as can be. That last part's important—otherwise, your little monkey may have been sent to the zoo already! Our design team knew how important it was for your toddler to look darling in this exclusive costume. That's why it's crafted from such cozy brown and tan material, with such a long tail! While real monkeys use their tails for climbing, we don't recommend your kiddo tries to use this costume's tail for high-flying antics, but watching them use the gloves and shoe covers and hang from the monkey bars ought to be plenty cute! The hood has a sweet little monkey face and big ears on each side, turning your toddler into the monkey they were born to be! Just beware, putting your child in this cute costume may cause an outbreak of screeches, hoots, jumps on the sofa, and a rampage through the house. Our advice? It's best not to fight it. 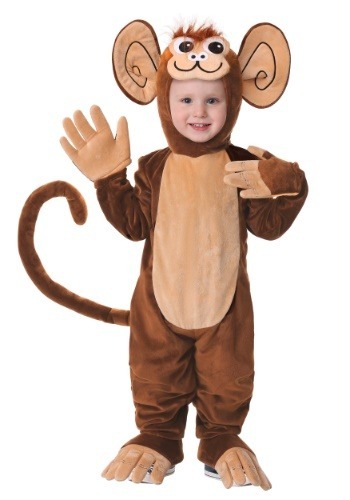 Let them be the little monkey they are—and get out all that energy—because this costume looks just as cute (if not cuter) on a tuckered out tot who fell fast asleep on the couch!